LightStream is the online consumer lending division of SunTrust Bank, one of the largest financial institutions in the United States. 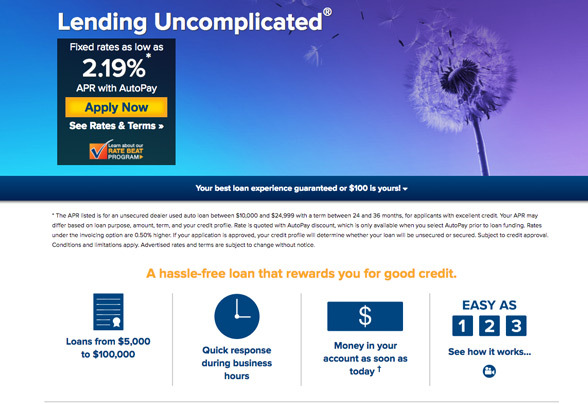 LightStream was created to provide customers with solid credit and financial records an effortless way to apply for and receive loans with excellent rates absent the bureaucratic red tape of traditional lenders. The company’s services are designed to allow customers to worry exclusively about using their funds, and not about their financing. LightStream offers competitive fixed-rate loans with a simple application process and quick response times. The company has so much faith in their services they offer a $100 satisfaction guarantee. 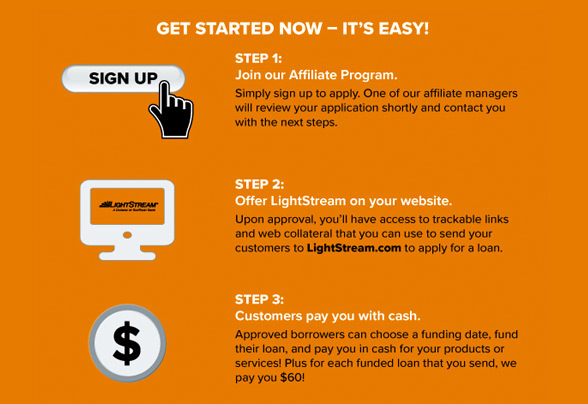 For those customers who have strong credit and a good financial track record, LightStream is an ideal service. The company focuses on providing quick approval and highly competitive loan terms, which are dependent on customers’ creditworthiness and risk levels. LightStream works with those applicants that have good to excellent credit, and offer loans for an expansive variety of purposes, including credit card and debt consolidation. Due to their lightning-fast applications and low interest rates, the company’s credit products are ideal for customers who have a strong financial history of good credit that are seeking a quick refinancing solution. During our research, we were impressed by many of the features and services offered by LightStream. The first thing that caught our attention is the company’s lightning-fast application process. Getting approved for a consolidation loan and receiving funding can happen as quickly as the same day, and the whole application is completed online, with no need to call, visit, or talk to any representatives. The company also offers a broad range of credit alternatives, and can help customers consolidate their debt with highly competitive interest rates. Apart from these benefits, LightStream is able to underwrite joint loans for customers, something many competitors neglect to provide. One of LightStream’s most intriguing features is their Rate Beat Program. Customers who find better loan terms for comparable amounts can present their term sheet to LightStream and the company will offer to beat their interest rates by 0.10%. Another major benefit of working with LightStream is that they are direct lenders, meaning funds are immediately transferred as soon as loan applications are approved. We were very appreciative of how easy and fast it was to apply for a loan through LightStream. The company’s application process is completely hosted online, and does not require customers to speak with a representative in person, via email, or even by phone. LightStream does not offer the opportunity for preapproval, but it does not really make a difference considering any applicant will receive an answer in the same amount of time. 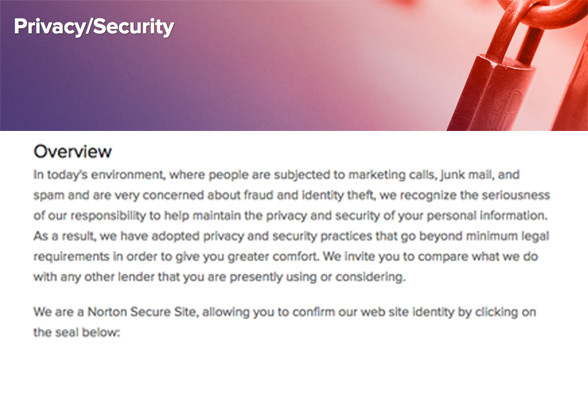 To get started, customers only need to fill in a quick online form that requests basic information regarding their identity and financial history. Once the form is completed, LightStream will perform a hard credit inquiry—a necessity as it does not include preapproval or other forms of discovery—to determine customers’ interest rates and terms before deciding whether or not to approve the application. For those applicants that are approved, funds can be made available as quickly as the same day. A good track record of savings as evidenced by liquid assets such as bonds, stocks, or bank deposits, down payments on property, retirement accounts, and strong revolving credit card debt. Enough income to repay any outstanding debt obligations along with LightStream loans. These requirements are steeper compared to certain competitors operating within the industry, but LightStream can use them to offer some of the best debt consolidation rates. The company offers loan amounts ranging between $5,000 and $100,000 for consolidation, although some repayment terms are not available for certain amounts. 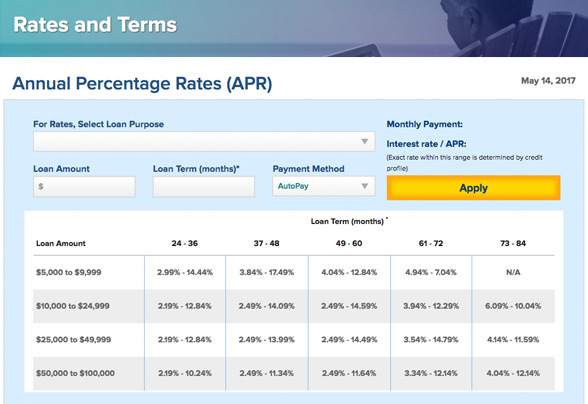 For the shortest possible repayment term and $5,000, customers can access interest rates as low as 7.54%. Even at the highest possible amount, the highest interest rate imposed by LightStream is a competitive 12.14% for an 84-month loan of up to $100,000. Overall, we were also positively struck the straightforward nature of LightStream’s service. Because the company directly funds their financing solutions, applicants can receive their loans as quickly as the same day. By choosing an auto-payment option, rates can also be discounted even further. A major selling point for LightStream is the excellent variety of loan terms they offer. Customers can choose from an impressive range of loan amounts and terms to create the perfect debt consolidation product for their needs. Loans that range from $5,000 to $25,000 have terms between 24 and 60 months. For loans that are larger, up to $100,000, those terms can be extended to 84 months in total. This expansive range of terms is really beneficial considering many competitors in the field provide terms that are significantly shorter. It is also a great sign that interest rates do not diverge greatly between different loan terms, meaning that customers can find a loan repayment plan that fits their financial circumstances and reach completion without digging a deeper debt hole. It is also important to note that all LightStream’s loans are fixed-rate, meaning interest rates will remain the same throughout the lifetime of the loan. This makes consolidating debt much easier, as customers can always know where they stand and find loans that help their chances of speedy repayment. Customers who need to reach LightStream can contact the company via an email ticket on their website. The company responds during normal business hours Monday through Friday, and Saturday on a shortened schedule. We would have liked to see another option for communication, such as telephone or live chat, but the company’s email response team was prompt and professional. We found that all our questions were responded to satisfactorily, and responses never took more than a day or two to arrive. 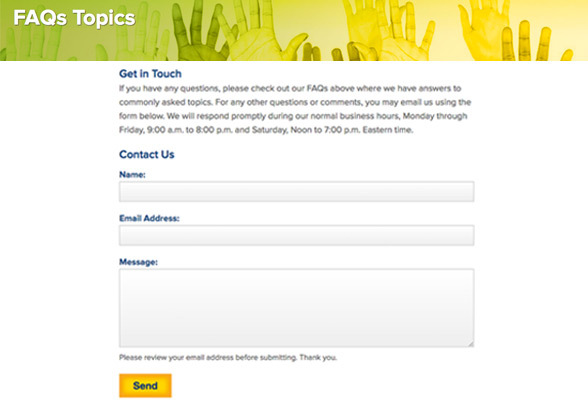 Furthermore, LightStream hosts a detailed and informative FAQ section on the website for customers looking for quick answers. Overall, LightStream provides an impressively fast service that does not sacrifice quality. The company’s lightning-quick application and approval process is ideal for those customers who are seeking immediate refinancing or effective consolidation. With great interest rates and repayment terms, customers can easily roll their outstanding debt into one simple payment at much more competitive rates to better match their financial circumstances and reduce costs. Their focus on good to excellent creditworthiness means that customers who qualify always can access among the best possible rates and terms, as well as their desired amounts. All told, LightStream is an excellent service for customers looking for a quick and reliable debt consolidation solution.